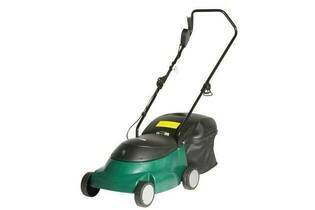 Snapshot: The Electric ESP360A is a mains-electric mower that weighs 11.2kg and has a cutting width of 36cm. But is it the sharpest tool in the shed? Catcher is somewhat difficult to use. Handle is less comfortable to use than some and may be a little low for taller people. "Victa LawnKeeper - Very please"
10 Jun 2017, Richard & Kathrina G.
Works well every time - reliable, no fuel, almost no maintenance, Also easy to start and little noise. Light enough for women to handle easily. Struggles a bit with long grass especially if blade not sharp. Not particularly good for wet grass. 21 Jan 2017, Davina C.
It's light, quiet, and easy to use. Mine has lasted about ten years.